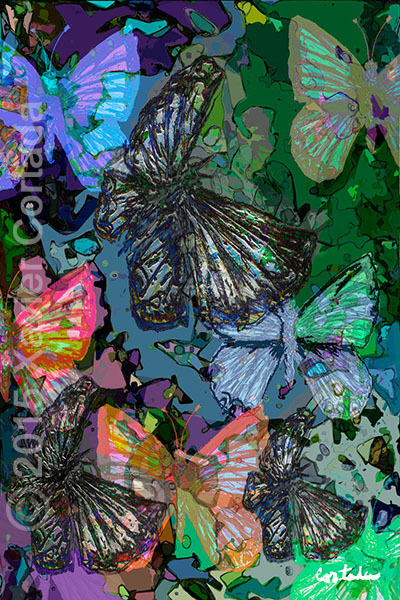 Xavier Cortada, “(Florida is…) Miami Blue Butterflies,” archival ink on aluminum, 60″ x 40″, 2015. The Miami blue butterfly (Cyclargus thomasi bethunebakeri) was thought extinct until it was rediscovered in 1999 in the Lower Florida Keys. Fortunately, additional populations of Miami blues had been discovered in Key West National Wildlife Refuge in 2006, and these are the focus of current surveys and conservation action.